Coral Triangle Day is observed annually on June 9, to celebrate and raise awareness of the ocean conservation and protection, especially on the Coral Triangle, the world’s epicenter of marine biodiversity. Intended as an open-sourced event, the day is celebrated by individuals, organizations, and establishment concerned on the Coral Triangle. Coral Triangle is a geographical term that refers to a vast ocean expense located along the equator and the confluence of the Western Pacific and Indian Oceans. The region covers the exclusive economic zones of six countries: Indonesia, Malaysia, Philippines, Papua New Guinea, Solomon Islands, and Timor-Leste (the “CT6” countries). It is even considered as one of the 3 mega ecological complexes on Earth, together with Congo Basin and the Amazon Rainforest. There is a broad scientific consensus that the region represents the global the global epicenter of marine life abundance and diversity—with 76% of all known coral species, 37% of all known coral reef fish species, 53% of the world’s coral reefs, the greatest extent of mangrove forests in the world, and spawning and juvenile growth areas for the world’s largest tuna fishery. Moreover, the biogeographical conditions within the CT may also enable the region to maintain its exceptional productivity in the face of future impacts of climate change, making it potentially the world’s most important “refuge” for marine life. These unparalleled marine and coastal living resources provide profound benefits to the 363 million people who reside within the six countries that compose the Coral Triangle, along with benefits to many millions more outside the region. Today, the coastal and marine ecosystems in the Coral Triangle are under significant and increasing threat by the warming, acidifying and rising seas. Coral reefs have experienced mass bleaching, which threaten to degrade the important ecosystems. Over half the coral reefs are at high risk primarily from coastal development, overfishing, and unsustainable fishing practice. Since the marine resources are a principal source of income for the population, the downstream effects of losing these critical coastal ecosystems are enormous. The Coral Triangle Day was first held on June 10, 2012, as a regional interpretation of World Oceans Day. During the 8th Coral Triangle Initiative on Coral Reefs, Fisheries and Food Security (a multilateral partnership to safeguard the Coral Triangle’s marine and coastal biological resources) Senior Official Meeting, member countries declared to designate the Coral Triangle Day to be held annually. It is, ever since, simultaneously celebrated by all Coral Triangle countries every year. It is celebrated through numerous activities including but not limited to beach clean-ups; sustainable seafood dinners and exhibitions; bazaars; and beach parties, among others. The intention is to carry the message of ocean conservation under the overall banner of the Coral Triangle Day. 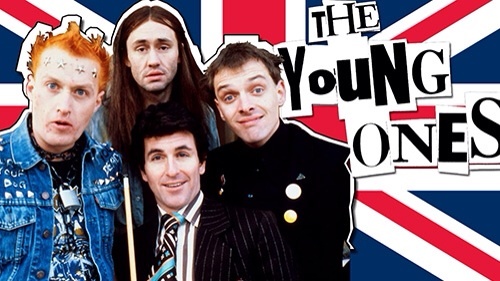 English comedian, writer and Actor Richard Michael “Rik” Mayall sadly died on 9 June 2014. He was described as a truly brilliant comedian with a unique stage presence whose “Fireball Comedy” and comic approach to sitcom had inspired a generation. born 7 March 1958 Mayall attended The King’s School, Worcester, After which went to the University of Manchester in 1976 to study drama, where he befriended his future comedy partner Ade Edmondson. There he also met Ben Elton, a fellow student, and Lise Mayer, with whom he later co-wrote The Young Ones. His comedy partnership with Adrian Edmondson, and over-the-top, energetic “post-punk” portrayal of characters, made him a pioneer of alternative comedy in the early 1980s. He appeared in numerous cult classic sitcoms, including The Young Ones, Blackadder, The New Statesman and Bottom, and on the big screen in the comedy films Drop Dead Fred and Guest House Paradiso. Prolific Scottish author Iain Banks sadly died 9 June 2013 . He was born 16 February 1954 in Dunfermline, Fife, to a mother who was a professional ice skater and a father who was an officer in the Admiralty. An only child, Banks lived in North Queensferry until the age of nine, near the naval dockyards in Rosyth where his father was based. his family then moved to Gourock due to the requirements of his father’s work.After attending Gourock and Greenock High Schools, Banks studied English, philosophy and psychology at the University of Stirling (1972–1975). he wrote his second novel TTR during his first year at university.Following graduation Banks chose a succession of jobs that left him free to write in the evenings. These posts supported his writing throughout his twenties and allowed him to take long breaks between contracts, during which time he travelled through Europe, Scandinavia and North America. He also worked s an expediter analyser for IBM, a technician (for British Steel) and a costing clerk for a Chancery Lane, London law firm . He wrote mainstream fiction under the name Iain Banks, and science fiction as Iain M. Banks. 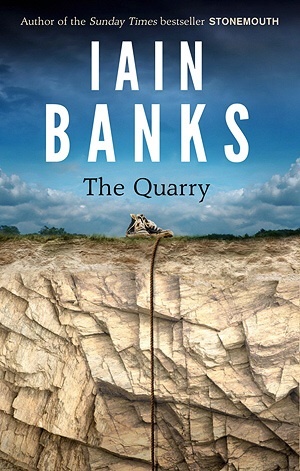 his first successful novel was The Wasp Factory and following the publication and success of The Wasp Factory (1984), Banks began to write on a full-time basis. His first science fiction book, Consider Phlebas, was released in 1987, marking the start of the popular The Culture series. His books have been adapted for theatre, radio and television. In 2008, The Times named Banks in their list of “The 50 greatest British writers since 1945″.in April 2013. By his death in June 2013 Banks had published 26 novels. His twenty-seventh novel The Quarry was published posthumously. 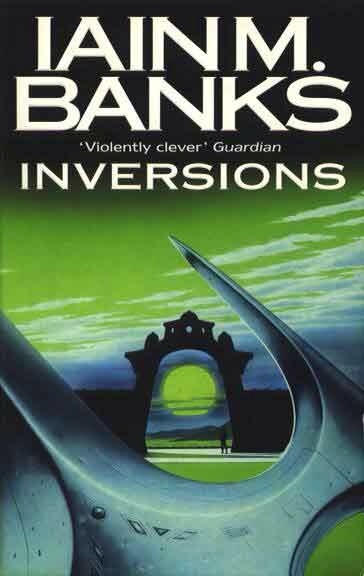 Banks was also the subject of The Strange Worlds of Iain Banks South Bank Show (1997), a television documentary that examined his mainstream writing, and was also an in-studio guest for the final episode of Marc Riley’s Rocket Science radio show, broadcast on BBC Radio 6 Music. 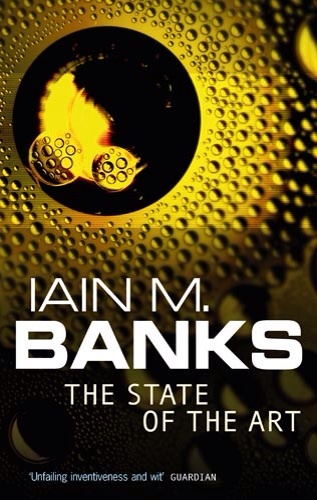 a radio adaptation of Banks’s The State of the Art was broadcast on BBC Radio 4 in 2009; the adaptation was written by Paul Cornell and the production was directed/produced by Nadia Molinari. in 1998 Espedair Street was dramatised as a serial for Radio 4, presented by Paul Gambaccini in the style of a Radio 1 documentary. In 2011 Banks was featured on the BBC Radio 4 programme Saturday Live. Banks reaffirmed his atheism during his Saturday Live appearance, whereby he explained that death is an important “part of the totality of life” and should be treated realistically, instead of feared. Banks also appeared on the BBC Political television programme Question Time, and captained a team of writers to victory in a special series of BBC Two’s University Challenge. Banks also won a 2006 edition of BBC One’s Celebrity Mastermind; the author selected “Malt whisky and the distilleries of Scotland” as his specialist subject. His final interview with Kirsty Wark was broadcast as Iain Banks: Raw Spirit on BBC2 Scotland on Wednesday 12 June 2013. Banks was involved in the theatre production The Curse of Iain Banks which was written by Maxton Walker and performed at the Edinburgh Fringe festival in 1999. Banks wrote the music for some of the songs that were featured in the production and collaborated with the play’s soundtrack composer Gary Lloyd, who also composed the score for a musical production of the Banks novel The Bridge. 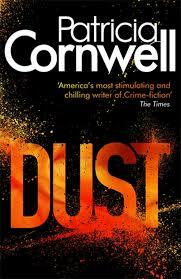 Prolific Crime novelist Patricia Cornwell was born 9 June 1956 in Miami, Florida. Her father was one of the leading appellate lawyers in the United States and served as a law clerk to Supreme Court Justice Hugo Black. In 1961, Cornwell’s family moved to Montreat, North Carolina, where her mother was hospitalized for depression. Cornwell and her brothers, Jim and John, were placed in the foster care system. Cornwell attended King College in Bristol, Tennessee, before transferring to Davidson College, where she graduated with a B.A. in English. In 1979, Cornwell started working as a reporter for The Charlotte Observer and soon began covering crime. Her biography of family friend Ruth Bell Graham, A Time for Remembering (renamed Ruth, A Portrait: The Story of Ruth Bell Graham in subsequent editions), was published in 1983. In 1984, she took a job at the Office of the Chief Medical Examiner of Virginia. She worked there for six years, first as a technical writer and then as a computer analyst. She also volunteered to work with the Richmond Police Department. 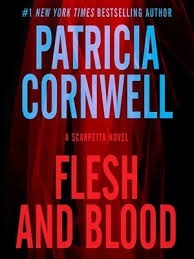 Cornwell wrote three novels that she says were rejected before the publication, in 1990, of the first installment of her Scarpetta series, Postmortem, was published, which features Massachusetts Chief Medical Examiner Kay Sarpetta. 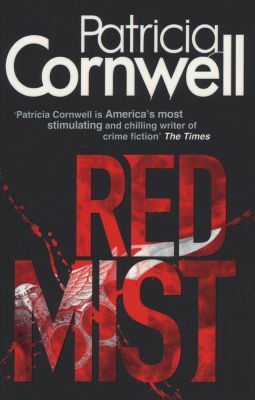 In addition to the Scarpetta novels, Cornwell has written three pseudo-police fictions, known as the Trooper Andy Brazil/Superintendent Judy Hammer series, which are set in North Carolina, Virginia, and off the mid-Atlantic coast. Besides the older-woman/younger-man premise, the books include discomforting themes of scatology and sepsis. Cornwell has also been involved in a continuing, self-financed search for evidence to support her theory that painter Walter Sickert was Jack the Ripper. She wrote Portrait of a Killer—Jack the Ripper: Case Closed, which was published in 2002 causing much controversy, especially within the British art world. She believed Sickert to be responsible for the string of murders and had purchased over thirty of his paintings and argued that they closely resembled the Ripper crime scenes, and also discovered a letter written by someone purporting to be the killer. He and drummer Ian Paice were the only continuous presence in the band during the period from 1968 to 1976, and also from when it was reestablished in 1984 until Lord’s retirement from Deep Purple in 2002. On 11 November 2010, he was inducted as an Honorary Fellow of Stevenson College in Edinburgh, Scotland. On 15 July 2011, he was awarded an honorary Doctor of Music degree at De Montfort Hall by the University of Leicester. Lord died 16 July 2012 and was posthumously inducted into the Rock and Roll Hall of Fame on 8 April 2016 as a member of Deep Purple. On 18 April 2017, the Prime Minister Theresa May called for a snap General election on 8 June, despite previously ruling out an early election. A House of Commons motion to allow this was passed on 19 April, with 522 votes for and 13 against, a majority of 509, meeting the required two-thirds majority. The motion was supported by the Conservatives, Labour, the Liberal Democrats and the Greens while the SNP abstained Nine Labour MPs, one SDLP MP and three independents (Sylvia Hermon and two former SNP MPs, Natalie McGarry and Michelle Thomson) voted against the motion. The general election took place on 8 June 2017. However British Prime Minister Theresa May’s decision to call a snap election on backfired in spectacular fashion as she lost the Conservatives’ majority as Labour made significant gains. Now a Hung parliament has been confirmed after ‘no Tory majority’. As things stood on Friday morning, the Conservatives had won 318 seats, a loss of 12, while Labour had won 261, a gain of 29 And with 649 of the 650 seats now declared, no single party can enough seats for an overall majority as Mrs May failed to secure the 326 seats she needed to form another majority government. Jeremy Corbyn’s Labour party increased its tally by 31 seats. SNP lose 21 seats, end up with just 35, However an anti-Tory coalition is still not viable without the Democratic Unionist Party. Each of the 650 parliamentary constituencies elected one Member of Parliament (MP) to the House of Commons, the lower house of Parliament. In line with the Fixed-term Parliaments Act 2011, an election had not been due until 7 May 2020, but a call by Prime Minister Theresa May for a snap election received the necessary two-thirds majority in a 522-to-13 vote in the House of Commons on 19 April 2017. The Conservative Party, which has governed since 2015 (and as a senior coalition partner from 2010), was defending a majority of 12 against the Labour Party, the official opposition. May had hoped to get a larger majority for the Conservatives to “strengthen her hand in the Brexit negotiations”. She will now form minority government backed by DUP(Democratic Unionist Party under The Democratic Unionist Party leader Arlene Foster. The DUP is socially conservative and enthusiastically pro-Brexit. Arlene Foster is The former First Minister of Northern Ireland and has served as the leader of the DUP since December 2015. She became First Minister in January 2016 and served until Martin McGuinness resigned in protest at her “cash for ash” scheme in January 2017. Ms Foster also faced accusations of mishandling over an ill-conceived renewable energy scheme which overpaid businesses for using green heating systems, costing taxpayers in excess of £490m. Some of the opinion polls had shown a twenty-point lead over Labour led by Jeremy Corbyn before the election was called, but this lead had narrowed by the time of the election. In fact, the Conservative Party lost its parliamentary majority and the election resulted in a hung parliament. Following the result, the Conservatives entered into talks with the Democratic Unionist Party (DUP) of Northern Ireland, whose additional 10 seats could allow for the formation of a Tory–DUP coalition government. Despite remaining in opposition for its third election, Labour saw its greatest share of the popular vote since 2001, and was the first election since 1997 that saw the party with a net gain of seats. The third largest party, the Scottish National Party, had won 56 of the 59 Scottish constituencies in 2015 but returned with 21 fewer seats. Several of these seats went to the Conservatives, in a reversal of a general trend in other parts of the UK. It was suggested part of the reason was a backlash against Scottish independence. The Liberal Democrats won several seats from the Conservatives and SNP, increasing their seat count. In Northern Ireland, the DUP and Sinn Féin both gained additional seats, capturing all the seats won at the last election by the UUP and the SDLP. Support for the UK Independence Party, which enjoyed a significant portion of the popular vote in 2015, was largely wiped out. 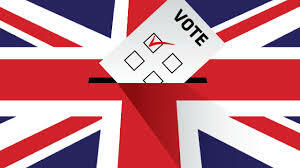 National security also became a particularly prominent election issue following Two major terrorist attacks in Manchester and London, which took place during the election campaign, with parties arguing about the best way to prevent such event. May, after the second attack, campaigns focused on global co-operation to tackle Islamist ideology and tackling the use of the Internet by terrorist groups. After the first attack, Labour criticised cuts in police numbers under the Conservative government. Corbyn also linked the Manchester attack to British foreign policy. The Conservatives stated that spending on counter-terrorism for both the police and other agencies had risen. May said that police budgets for counter-terrorism had been maintained and that Corbyn had voted against counter-terrorism legislation. The Conservative manifesto proposed more government control and regulation of the internet, including forcing internet companies to restrict access to extremist and adult content. Following the London attack, Theresa May called for international agreements to regulate the internet. Conservative stances on regulation of internet and social media have been criticised by Liberal Democrats leader Tim Farron, the Open Rights Group and some academic experts on radicalisation, Farron likening them to North Korea and China state surveillance and censorship. On 6 June, May promised longer prison sentences for people convicted of terrorism and restrictions on the freedom of movement or deportation of militant suspects when it is thought they present a threat but there is not enough evidence to prosecute them, stating that she would change human right laws to do so if necessary. Social care became a major election issue after the Conservative Party’s manifesto included new proposals, which they subsequently changed after criticism. The previous coalition government had commissioned a review by Andrew Dilnot into how to fund social care. The UK’s withdrawal from the European Union was another key issue in the campaign. May said she called the snap election to secure a majority for her Brexit negotiation. UKIP support a “clean, quick and efficient Brexit” and, launching his party’s election campaign, Nuttall stated that Brexit is a “job half done” and UKIP MPs are needed to “see this through to the end. Labour had supported Brexit in the previous parliament, but proposed different priorities for negotiations. The Liberal Democrats and Greens have called for a deal to keep the UK in the single market and a second referendum on any deal proposed between the EU and the UK. The Conservative manifesto committed to leaving the single market and customs union but seek a “deep and special partnership” through a comprehensive free trade and customs agreement. It proposed seeking to remain part of some EU programmes where it would “be reasonable that we make a contribution” and stay as a signatory of the European Convention on Human Rights over the next parliament and maintain the Human Rights Act during Brexit negotiations. Parliament would then be able to amend or repeal EU legislation once converted into UK law, and have a vote on the final agreement. Senior Conservatives pro-Brexit MPs including The Brexit secretary, David Davis, were instrumental in pressing for May to call an early poll. Steve Baker, chair of the influential pro-Brexit European Research Group of backbench MPs, also threw his weight behind conservative Prime Minister Theresa May. With 649 of 650 seats declared, the Tories had 318 seats – eight short of the figure needed to win outright – with Labour on 261, the SNP on 35 and Liberal Democrats on 12. Alex Salmond, Angus Robertson and Nick Clegg lost their sears. However Ben Gummer, the architect of the Tory manifesto, and Jane Ellison, the Financial Secretary to the Treasury Remain. Home Secretary Amber Rudd clung onto her Hastings and Rye seat as did Sarah Wollaston, the MP for Totnes and chair of the Commons health committee. Paul Nuttall, resigned as Ukip leader on Friday.The party has appointed Steve Crowther to the top job on a temporary basis. Mr Arnott, Ukip MEP in the North East of England, praised the job done by party leader Paul Nuttall. Meanwhile The Liberal Democrats made four gains, securing 12 seats in all. However, Nick Clegg lost his Sheffield Hallam seat while Vince Cable took back his old Twickenham seat. Following the General Election Ryan Shorthouse, the director of the liberal Conservative thinktank Bright Blue, which is backed by 140 Tory MPs, has called for May to step down immediately.